With the flu season right around the corner it is crucial to remember AHS’ four keys to a safe and healthy autumn: get immunized, cover your cough, clean your hands, and stay home when you’re sick. Getting immunized is the best way for an individual to protect themselves against the flu, it is also one of the best ways to protect loved ones through what is call “herd immunity,” which is a resistance to a contagious disease in a population, by most of the individuals being immune to it. Every flu season, anyone over the age of six months old should get immunized, and with the vaccine being administered free of charge at pharmacies, doctor’s offices and public health clinics, it is as convenient as ever to get immunized. Covering your mouth when you sneeze, or cough is also important when preventing the spread of the flu virus. Sneezing into a tissue and disposing of it is ideal. However, if you don’t have a tissue, sneeze into your arm rather than your hands. Washing your hands thoroughly with soap and warm water before preparing food, after using the washroom, or after sneezing, is another essential practice in order to protect yourself from the flu. 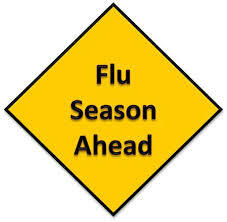 The final way to stay healthy this flu season is to stay home from school or work whenever you feel unwell. By doing this you are limiting the public’s exposure to the flu virus. As well, refrain from visiting anyone who may have a compromised immune system, such as an elderly person living in a care facility or a lodge, as these individuals are at an increased risk of complications from the flu virus. Keeping these things in mind as autumn rolls around will not only prevent you and your family from catching an inconvenient cold, but it will also help save lives.